These are my favourite pictures of this week for #MySundayPhoto. Has to be some Halloween pictures as it's been Halloween this week! 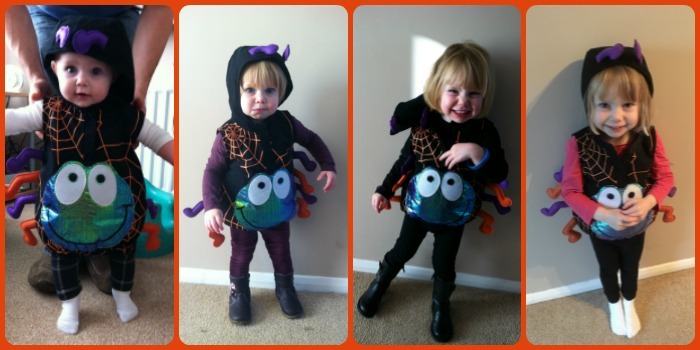 This spider costume was bought at a car boot sale for 50p. I can't believe Little Miss A can still fit into it (although it was a real squeeze)! So that's 4 years she's worn it and means it's going to do Baby R for a few years yet. I'm definitely getting my money's worth! Going to be fun putting Baby R in this outfit for the next couple of years! I don't much like spiders either Elaine but can't help like these cuties! 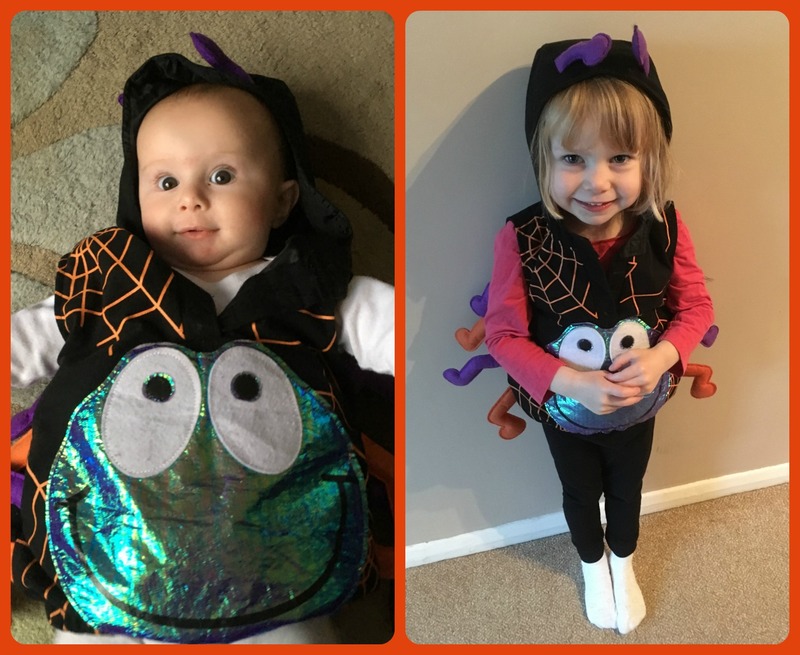 Think I'll let Little Miss A choose her own costume next year but at least Baby R will get some more use out of the spider costume!